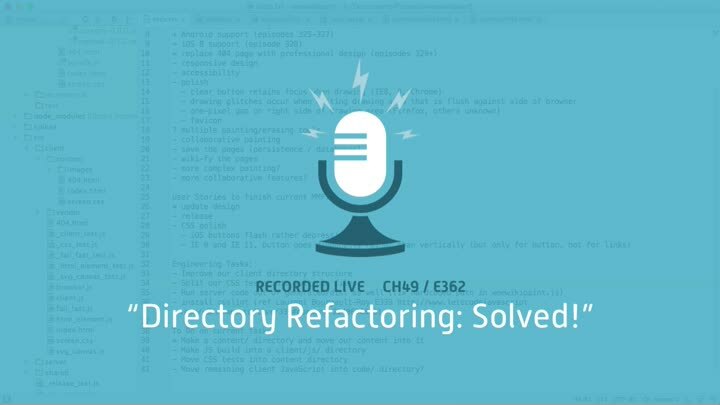 We return to the directory refactoring problem that gave us so much trouble in the last episode. This time, we take smaller, more careful steps... and this time, everything goes smoothly. We’ve successfully separated our content from our code.